Mark Lawrence is a Toronto-based facilitator, trainer, and mediator with the Stitt Feld Handy Group, a division of ADR Chambers. 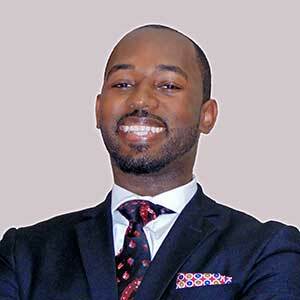 He provides Alternative Dispute Resolution, negotiation and coaching training to organizations and the general public throughout Canada and the Caribbean. Mark earned his Bachelor of Commerce Degree in Law and Business from Ryerson University. He then graduated with a J.D. from the Osgoode Hall Law School where he studied alternative dispute resolution, mediation and negotiation. He has also completed the ADR and Advanced ADR Workshops conducted by the Stitt Feld Handy Group. Mark developed his deep passion for alternative dispute resolution when he realized the far reaching impact it can have on families, communities and organizations. He has mediated interpersonal and community conflicts and has mediated in the Toronto Small Claims Court. Mark has worked with a number of non-profit organizations across the Greater Toronto Area, including the Ontario Justice Education Network, Pro Bono Students Canada, and volunteered with Law in Action Within Schools. Mark enjoys combining his training and experience in dealing with both community and organizational conflict to train and coach others on how to communicate more effectively, govern conflict and resolve disputes to achieve their goals.